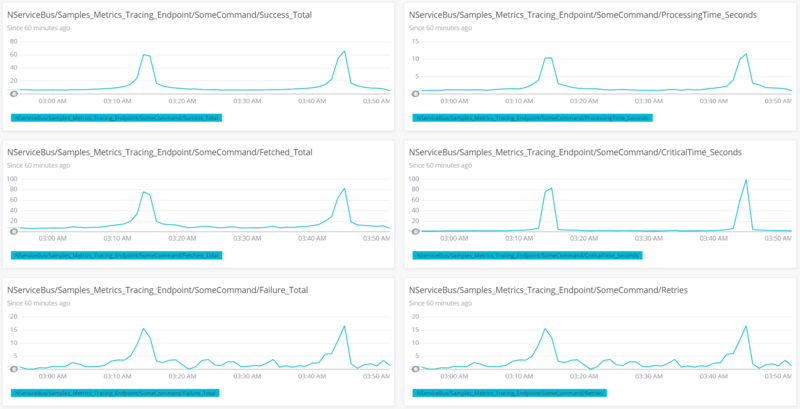 This sample demonstrates how to capture, store and visualize NServiceBus metrics in NewRelic, a monitoring solution for storing application performance data, custom events, etc. For a detailed explanation of these metrics refer to the metrics captured section in the metrics documentation section. To run this sample, create a NewRelic account, then download and run the NewRelic agent. See the Introduction to New Relic Insights guide for information on how to get started with NewRelic monitoring. 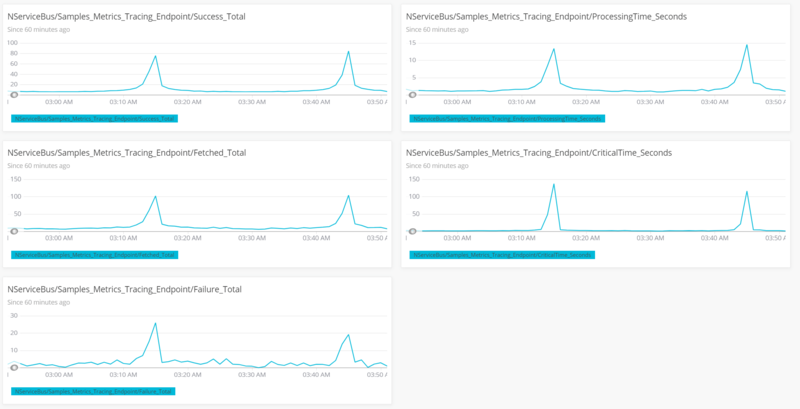 The registered observers convert NServiceBus.Metric Signals to NewRelic ResponseTimeMetric and NServiceBus.Metric Durations to NewRelic Metrics. Create a new dashboard by using the Create a dashboard button under All Dashboards. Open up the Data Explorer, select the corresponding application name and filter for Custom metrics.